1. 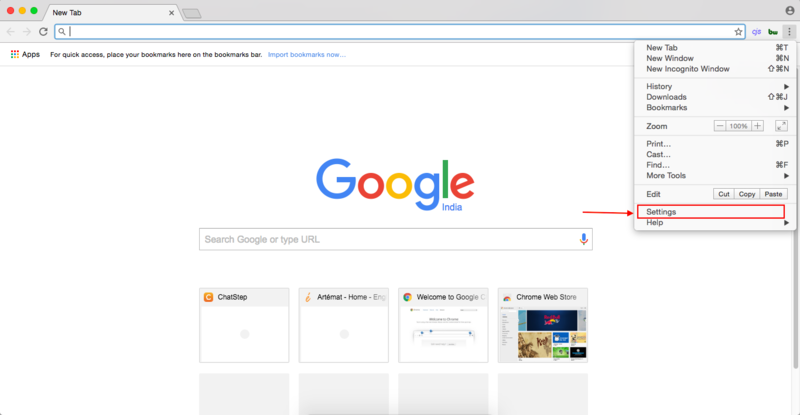 Open your Google Chrome Browser and click on the 'Customize and Control Google Chrome' Button located next to the address bar. 2. Click on 'Settings' from the drop down menu. 3. Now scroll down and click 'Show Advanced Settings' hyperlink. 4. Under 'Privacy', click on 'Content Settings'. 5. Scroll down and under the headline Notifications select 'Allow all sites to show Notifications' radio button and click Done. Now you should be able to get Browser Notifications from HappyFox Chat through your Google Chrome Browser.